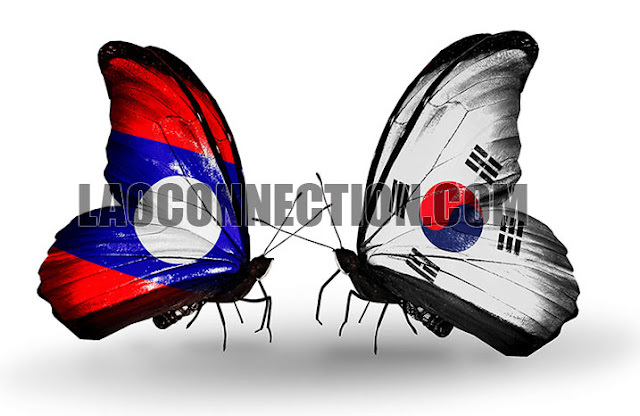 When did Laos and South Korea establish diplomatic relations? They initially began on June 22, 1974 but were severed just one year later on July 24, 1975. They would not be established for another 20 years until October 25, 1995. What is the amount of trade done between the two countries? For 2016, South Korea exported USD$115M to Laos and imported USD$21M. What is the first Korean company to establish itself in Laos? Kolao Holdings is likely the first South Korean company to operate in Laos. It first began operations in Laos in 1997, just 2 years after South Korea re-established diplomatic relations with Laos. Kolao assembles and sells motorcycles in Laos and Cambodia. Its quality was considered better than Chinese made motorcycles and thus slightly more expensive. It has expanded its product line to include Daehan branded vehicles including pick-up trucks. For the first 6 months of 2017 (ending June 30, 2017), the company had reported sales revenue of over $70M. Its business operations in Laos also include large scale plantations. What are some other Korea companies that have invested in Laos? Lao Bio Diesel Import-Export Company Ltd., Kolao Farm Co. Ltd., Crapkin Co. Ltd., Lakorea Co., to name a few. How much South Korean foreign direct investment goes into Laos? As of 2012, South Korea had 287 projects totaling more than USD$619M. In just a few short years, South Korea has climbed to 4th place among the highest foreign direct investors in Laos, behind China, Vietnam, and Thailand (as of 2016). How much foreign aid does South Korea send to Laos? In 2015, the Korea International Cooperation Agency (KOICA) gave/utilized USD$15M towards development projects in Laos. Collectively over the many years, it has given over USD$100M towards 49 development projects, as of 2015. How many South Koreans visit Laos? In 2016, 173,260 South Koreans visited Laos. This resulted in the number of visitors doubling in just 3 years (2014-2016). How many South Koreans live in Laos? Approximately, 2,000, as of 2017. Why is South Korea interested in Laos? Many political commentators believe that South Korea's primary interest in Laos only extends to the fact that Laos still maintains diplomatic contact with North Korea where officially it is considered a communist ally. South Korea believes that by expanding and maintaining close contacts with countries that still have relations with North Korea that it will be in a better position to discuss issues related to North Korea when those discussions arise. To what degree they have discussed such issues with Laos is not entirely known. However, on December 6, 2017, Lao Deputy Foreign Minister Ms. Khamphao Ernthavanh was quoted in South Korea's newspaper Yonhap as having stated that Laos hoped North Korea would abandon its nuclear missile development program and hoped for a peaceful resolution. She also said that such a conflict would have negative affects not just for the 2 Koreas but also on ASEAN nations. In the same article, she went on to acknowledge that while Laos maintains a close relationship with North Korea, that Laos, as a United Nations member, has an obligation to enforce UN resolutions and would work towards executing those resolutions. This was the first time that a public statement about North Korea and its missile program was made by a high ranking Lao official. Politically and economically, South Korea's goal is to draw Laos away from supporting North Korea. At the very least, South Korea wants to show that it can be a better partner and a better option to deal with, compared to North Korea. To their credit, South Korea has shown itself to be a very positive supporter to Laos' investment and development goals for the past 20 years and more so in the last decade. Issues of concern with regard to North Korea are its defectors, businesses operating in Laos, and transportation of goods (diplomatic or otherwise). What are the most recent high level meetings or contacts between Laos and South Korea? Laos and South Korea enjoy regular high level meetings. The most recent meetings include: In 2016, South Korean President Park Geun-Hye met with Lao counterparts at the ASEAN+3. And in 2017, Lao Minister of Foreign Affairs Salemxay Kommasith visited South Korea where he met with his counterpart Ms. Kang Kyung-Wha, as well as, South Korean Prime Minister Lee Nak-yeon. 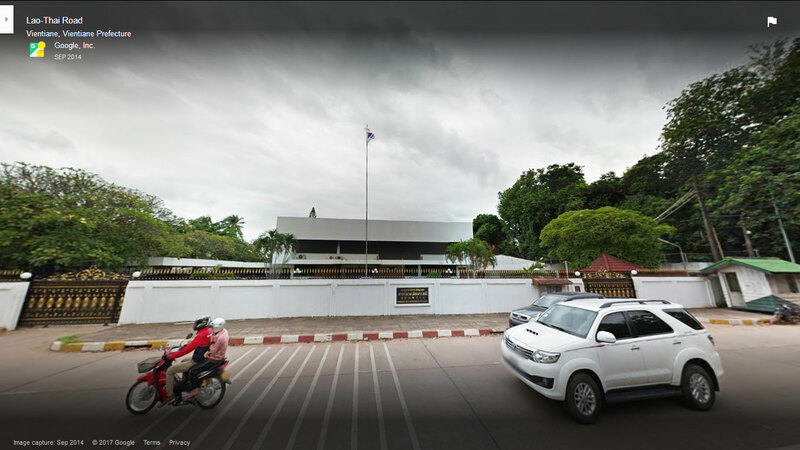 Where is the Lao embassy in South Korea? The embassy's details are noted below. However, Laos also has consulate offices in Busan and Daejeon. Where is the South Korean Embassy in Laos?